In contrast to the increasing amount of crops being grown on small plots of land by individuals, the harvests from collective farms in North Korea are said to be declining. Sources in North Pyongan Province and North Hamgyong Province corroborated this news. In 2012, the North Korean government passed the ‘June 28th Measures,’ part of a “new economic management system in our own style.” This reduced production units on cooperative farms from groups of 10-25, to smaller factions of 4-6 members. as part of the reforms stipulated in the ‘June 28th Measures.’ On paper, the state receives 70% of the target production, with farmers receiving 30% and any surplus if targets are exceeded. In practice, however, things appear to be different. After its implementation in a number of regions, “the production rate on collective farms remained low and the policy was unable to achieve meaningful results,” the source said, adding that many worry these reforms will take the same path as the ‘July 1st Economic Management Reform Measures of 2002,’ which fizzled out after approximately three years. “Although the the North’s official propaganda contends that the measures taken regarding the collective farms are scientifically based, in actuality, it’s just working the mobilized even harder,” the source alleged. Two years have passed since Kim Jong Un’s announcement that the people would no longer have to tighten their belts, yet “the people have yet to see a policy directive issued that is related in any way to this promise,” he said. North Korea has been promoting the “field management system” as a part of its agricultural reform. Nevertheless, drawbacks exist, and it is trying to overcome shortcomings in the process by blending the new system with the advantages of collectivism. In the past, farmers were able to follow the technical guidance of skilled workers. But since the implementation of the “field management system,” many are struggling to keep up with the advanced modern technology and agricultural methods. As a result, North Korea is engaging in training and education programs for farmers to raise their skill level to that of skilled workers by encouraging the collective farming method of communal sharing of labor. The field management system under the bunjo management system (or the subworkteam management system) divides the work unit consisting of 10–25 people into smaller units of 3–5 people, responsible for farming a smaller field. This is virtually a preliminary stage which could lead toward private farm ownership. The field management system expanded countrywide after Kim Jong Un’s rise to power. It is considered to have contributed in part to the increase of agricultural production. The newspaper cited pesticide as one example of the problem. In the past, spraying pesticides were for skilled workers; but in recent years, ordinary farmers are responsible for spraying pesticides on their own. However, from lack of experience, many farmers struggled with proper handling of pesticides and ended up wasting them or damaging their crops. The newspaper, however, also introduced the story of jujube cooperative farms in Anak County of Hwanghae Province, praising one farm’s success in planting rice seven days earlier than planned, despite the adverse weather conditions. Reportedly, the farmers at this cooperative farm underwent training in modern agricultural technology for 30 minutes every morning. Another problem pointed out is that because the skill level of every farmer differs, some farmers may mistime rice planting during the planting season. In the past, task teams were formed based on skill level and could eliminate the discrepancies between farms; under the new system, problems are inevitable. Accordingly, it is reported that Anak County jujube cooperative farms are collectively helping each other to overcome this shortcoming. North Korea experienced its biggest drought in 100 years last year. However, North Korea claims that this did not affect its food production. North Korean authorities are claiming the main factor behind the increased food production is the will of farmers to produce more after the expansion of the “field management system,” or pojon tamdangje. From the July 1st Economic Management Improvement Measures enforced in 2002, the autonomy of cooperative farms and enterprises expanded. The “field management system” was piloted from early 2004 in Suan, North Hwanghae Province and Hoeryong, North Hamgyong Province, but was suspended soon afterward. However, this system is reported to have been implemented widely after the first National Conference of Subworkteam Leaders in the Agricultural Sector was held in Pyongyang in February 2014. UPDATE 32 (2015-6-17): Writing in 38 North, Benjamin Katzeff Silberstein writes that the June 28 Measures may not be all that prolific or successful. From 2012 onward, a number of sources both outside and inside of North Korea have reported a gradual implementation of agricultural reforms not dissimilar to those adopted by China in the late 1970s. Supposedly, farmers now get to keep a larger share of their harvests—perhaps as much as 60 percent—and agricultural work teams have been reduced in size to increase their production incentives. Seasoned North Korea watcher Andrei Lankov buoyed the rumors last November, when he claimed that the country had not only implemented such reforms, but had done so with considerable success. He wrote that North Korea had increased its food production in 2013 to such an extent that could nearly “feed itself” that year without international assistance. First, international estimates of North Korea’s food production showed that it did not suddenly increase in 2013, the year after the reforms were supposedly introduced. The World Food Programme (WFP) and Food and Agriculture Organization (FAO) typically send experts into the country each year to survey conditions for food production and to estimate its food needs. While Pyongyang did not admit a surveying team in 2014, WFP/FAO Food and Crop Assessments from previous years show a clear pattern: North Korea’s food production was increasing well before rumors of economic reforms began to pour out from its borders. According to the assessments of the past few years, food production began to increase in 2010, going up by approximately 3 percent. In 2011 it continued to climb by about 8 percent. The growth trend continued in 2012, when food production was estimated to have increased by another 10 percent. Likewise, in an estimate for 2013, the WFP/FAO noted an increase for the third year in a row, a development that had been unprecedented for many years, and concluded that the gap between North Korea’s food need and its production was the smallest in many years. However, harvest yields in North Korea now appear to have stalled after getting better for some time. According to a recent analysis by the FAO, food production stagnated in 2014, putting an end to the trend of the three preceding years. If Pyongyang has in fact reformed its approach to agriculture, the reported changes do not seem to be doing that much good. Lankov recently admitted in a new piece that the alleged reforms have now stalled or were perhaps reversed, but he has not backtracked on his claim that they worked when they were being implemented. A series of proactive measures to adjust economic policies and expand exchanges with foreign countries recently adopted by North Korea have drawn widespread attention. The moves aim to help the country escape the long-lasting economic woes, improve the nation’s political and social stability, and promote economic cooperation within the region. Therefore, they deserve welcome and encouragement. However, it is inappropriate to regard these measures as a signal of overall reforms or a starting point of further opening-up. To begin with, China’s implement of reform and opening-up is based on absolute disapproval of the mistaken route that deemed class struggle as the guiding principle. Yet North Korea, as a hereditary regime, does not allow any doubt or modification of its former leaders’ ideologies and political lines such as juche (“self-reliance”) and songun (“military-first”). Besides, China’s reform has broken the traditional planned economy and set up a market-oriented socialist economy with the coexistence of other diverse forms of ownership, especially allowing the development of private business. But North Korea still cleaves to its old beliefs that planned economy and the public ownership of the means of production are the key characteristics of socialism, and that if they are changed, socialism will be lost. In addition, as a big country, China enjoys strong tolerance and endurance. Even it is wide open to the world, under the pressure over intruding foreign cultures and values, it can still safeguard its political and social stability. North Korea, however, will find it hard to do the same if it opens up like China, against the backdrop of US hostility, the north-south divide, and fierce competition over systems. Consequently, North Korea took the measures of “our-style (North Korea-style) socialism” and corresponding “reforms,” including the 7.1 Economic Management Improvement Measures, 6.28 Economic Reform Measures and 5.30 Measures. Though similar to the reform and opening-up of China, they have their own distinguished features. For instance, the country initiated “land contracts,” yet did not end cooperative farms; it encourages its business to be flexible, yet without changing the way their property is held; it established special economic zones and economic development zones, but with focusing on advantageous areas and corridors. The basic features of North Korean “reform” measures are improving the policy flexibility, introducing new management styles, and bringing the function of the market into full play, without changing its fundamental system. The country also introduces and utilizes foreign capital under the control of the government. Apparently, these practices stem from the nation’s domestic conditions. It is generally acknowledged that North Korea’s reform measures have achieved initial success. North Korean economy has recorded positive growth for three consecutive years, with its domestic markets and consumption becoming more active and the strain on food and living supplies eased. On the other hand, confrontation between North and South Korea is rumbling on, and the arrangements around the only industrial complex between the two sides, the Kaesong Industrial Region, is constantly encountering conflict, which has made business people skeptical about economic collaboration with North Korea. Especially as North Korea keeps conducting nuclear tests, it remains hard for it to break the sanctions and isolation from the international community. All these factors prove the uncertainty of North Korea’s economic reforms. Hence, media and scholars should be reminded to deliver accurate and comprehensive information over North Korea to the world, in order to prevent giving misleading impression or weakening the risk awareness of investors, causing irreparable losses as a result. UPDATE 30 (2015-1-27): 38 North published this report on the DPRK’ 6.28 Measures. Here is coverage in Yonhap. 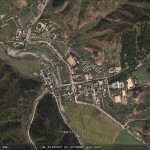 Among some of the experimental farms in North Korea operating under policies implemented from the “June 28th Measures,” announced by the state in 2012, Daily NK has learned that some failing to reach the state-mandated output goal, even if for reasons out of their control, are subject to incur a hefty debt as a result. 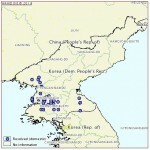 North Korea, through the establishment of a “new economic management system in our own style”, reduced production units on cooperative farms from groups of 10-25, to smaller factions of 4-6 members as part of the reforms stipulated in the “June 28th Measures.” The state receives 70% of the target production, with farmers receiving 30% and any surplus if targets are exceeded. Most residents were eager, albeit cautious, about the policy’s implementation, as the amount of production going to farmers would rise. The Chosun People’s Army took direct responsibility for the management of food procurement and distribution during the food insecurity and famine of the 1990s, and this invariably left the farmers themselves with a vastly reduced share. In the case of Kim Jong Suk County, production units have been divided into subdivisions tasked with handling one area: vegetables, husbandry, grains, etc. Naturally, grains fall under the remit of the largest number of workers, given their place as staples in the Korean diet. One cooperative farm production unit is given 1000 pyeong of paddies for rice and corn, and 2000 pyeong of fields to cultivate, earmarked for specific production output based on three tiers of soil quality. However, the system is contingent on the vicissitudes of domestic conditions. “Because there was no drought last year and a steady supply of fertilizer, fulfilling the 70% requirement was relatively easy, the state’s food supply stabilized for the year, and those involved in the units were pleased,” the source explained. This year, however, she noted that the devastatingly protracted drought, combined with a dearth of fertilizer, caused the crop yield per pyeong to plummet. Cooperative farms, instead of calibrating required allotments to reflect the changes, are demanding many of the production units to hand over 70% of the harvest, roughly 1.8t in the source’s region. If these units fall short of the target, they take on a debt to be rectified the following year. Turning over 70% of the harvest in a year rife with natural disasters and lack of fertilizer has many of the residents involved overtaxed and without a viable solution. Many point out among themselves that this situation makes it implausible to work large plots of land when working even a small, individual plot proves burdensome. Despite complaints and the poor conditions, most still maintain a fairly sanguine outlook on the system and hope it can progressively evolve. “Opinions on the bunjo system are somewhat mixed, but most just hope it continually shifts to a more autonomous structure,” she asserted. Meanwhile, factories and enterprises rent land from collective farms and farm it as a sideline, then divide a proportion of the yield between workers. 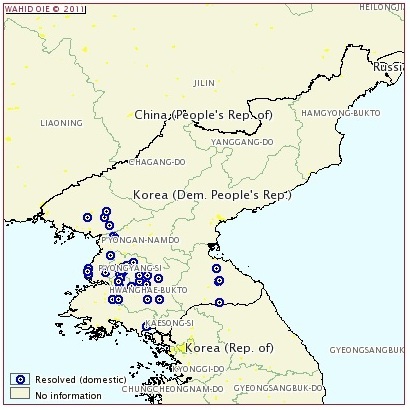 In this case, unlike the cooperative farm system, there is no predetermined output expectancy relative to pyeong; rather, based on production, the crop output is distributed under the 70:30 split. The contents are revolutionary. It seems that, at long last, North Korea has decided to begin Chinese-style reforms. Marshal Kim Jong-un is obviously inclined to do what his late father, Generalissimo Kim Jong Il, was too afraid to, that is, to attempt to transform his country into a developmental dictatorship, largely similar to present-day Vietnam or China. This decision did not come out of the blue. Indeed, it agrees very well with what Kim Jong Un and his advisers have quietly been doing over the last three years – albeit the slow-motion transformation of the country has attracted little attention from outside world. In essence, this reform marked a seismic shift: It marked the first step towards the reprivatisation of agriculture. The “June 28th Measures” have worked out even better than North Korea’s leaders might have expected. The year 2013 (the first year that the reforms were fully in force) brought the best harvest that North Korea has seen in decades. The world media, predictably enough, missed the entire story, but in 2013, North Korea, for the first time since the late 1980s, produced almost enough food to feed itself. Even though there was a severe drought this year, the new system has seemingly proved its resilience, and initial reports about the harvest are also quite positive. Experimental farm policy changes are set to fail in the Hyesan region of Yangkang Province, Daily NK has learned, after totally unsuitable areas were designated for the experimental farming and some new tenets of agricultural policy stalled on the drawing board. “Despite the fact that things are like this, the [authorities] just keep going on about nothing being impossible if we attain the Marshal [Kim Jong Eun]’s ‘masikryeong speed’ and how we must fulfill the annual plan,” the source went on. Sources say that the authorities have set in place the basis of a new agricultural management method, one that involves smaller work units (from 10-25 people down to 4-6 people) and a 70-30 split with the state in the distribution of output. Creating experimental areas for the implementation of the plan can be seen as marking the launch of the so-called ‘June 28th Policy.’ However, while farmers were excited by the plan in the beginning and harbored great expectations, the passing of time has undermined their interest. Inside North Korean sources have confirmed that collective farms are now offering part of their land to non-farmers in exchange for 30% of production derived from it, in effect renting farmland to private individuals. It is easy to see why people are keen to get involved in this tenant farming method of agriculture; it appears to be more favourable to the farmer than the existing system. Currently, factories and enterprises rent land from collective farms and farm it as a sideline, then divide a proportion of the yield up between workers. However, by farming land individually, people can realize greater benefits from increased effort, providing an incentive to work harder and longer. According to the source, people currently view this as one of their best chances to ease food insecurity problems in the absence of state distribution. It is still unclear how much change has been made at state owned enterprises and within the party and state management bodies. “Last year, we studied reasonable economic management methods in different fields of economic work, and introduced it to some units on a trial basis,” Ri Ki Song, an economist from North Korea’s Academy of Social Sciences, told AP this week. What’s new, he said, is allowing managers to dole out goods and cash as incentives. In addition, after paying back investments provided by the state, managers can set their employees’ salaries and offer raises to those who help drive up production, he said. The main goal: to encourage “greater profits” and solve North Korea’s chronic food shortage, Ri said. “The North Koreans have played reform games before and then just sort of pulled the rug out from under it,” he said. Cossa cited international aid groups as saying the military is pressuring farmers to donate their portion to the army. This year, things are being managed differently, said Kim Jong Jin, deputy chairman of the farm’s managing committee. After the rice is harvested, farmers must “repay” the state for the seeds. At Tongbong that means giving the state about 193 kilograms of rice as payback for every 140 kilograms of seedlings they received. But any surplus can be kept by the team to sell, barter or distribute – a change from past policies that required farmers to turn all harvests over to the state. “This encourages enthusiasm for production and we get more of what’s produced,” Kim said. 1. Read more about the April Workers’ Party and Supreme People’s Assembly meetings here. North Korean officials have formally acknowledged that some factories, enterprises and cooperative farms in the country have been experimenting with new economic management methods since last year. The comments, published in the Chongryon publication Choson Sinbo on May 10th, appear to partially confirm the existence of the “June 28th Policy,” which Daily NK reported on exclusively in summer last year. Cabinet official Kim Ki Cheol and State Planning Commission Vice-director Ri Young Min note in the piece that some new economic measures have been adopted, but add that legal and institutional frameworks still require alteration if changes are to be expanded. However, their comments serve as official acknowledgement of experimental economic change. According to the piece, Kim Jong Eun issued instructions to the Party Central Committee in April 2012 decreeing that the roles and responsibilities of lower economic officials should be expanded. However, Kim also said that changes must conform to socialist principles, raising questions about how far North Korea is willing to go in pursuing economic improvement. The Choson Sinbo piece also confirms that the state is working to concentrate economic activities under the auspices of the Cabinet, which has been run since April this year by Pak Pong Ju, an official who played a key role in implementing the economic changes of July 2002. “All problems that arise in the course of economic activities are focused on the Cabinet, and rules and regulations are being comprehensively established under the Cabinet’s unified leadership,” it states. The new system has been implemented from the beginning of this year, a source in South Hamgyong province told RFA’s Korean Service. Under the reforms, as part of agricultural liberalization in North Korea’s rigidly planned economy, farm workers may keep up to 30 percent of their unit’s produce and are allowed to sell them at market prices, sources said. Authorities have divided up the traditional collective farms and allocated fields to smaller group units. “The North Korean government has been dividing collective farmland up into small units since [the beginning of] 2013,” the source said, speaking on condition of anonymity. Some workers are hopeful that the changes could help ease the impoverished country’s food shortages, but others are unsure how much they will benefit, a source from South Pyongan province said, also speaking on condition of anonymity. “Some people are excited, expecting there will be enough rice in North Korea,” he said, adding that there was “optimism” that the system will help boost food production. “But some are skeptical, with a strong distrust in the government which has been conducting everything unsuccessfully,” the source added. The move to liberalize the agriculture sector is believed to be a policy initiative of North Korea’s young leader Kim Jong Un, who took over after his father, Kim Jong Il, died in December 2011 after initiating some economic reforms that failed to take off. No major public announcement of the new policy has been made so far. Sources said that a key stumbling block to the farm reforms is the management structures of the collective farms which remain unchanged since the policy was implemented. The lack of change in the leadership system leaves farm workers “uncertain” how much of that 30 percent will go into their own pockets, they said. For example, it remains unclear whether farm managers will receive their share of harvests from the 70 percent allocated to the state or the up to 30 percent portion that goes to workers, they said. One source in China, which is North Korea’s main diplomatic and trading partner, said the system would make little difference to workers without a guarantee on the division of profits. “It seems like the North Korean government wants to boost the motivation to work, but there is not much difference between the previous system and the new system unless they guarantee the autonomy of workers,” he said, speaking on condition of anonymity. Previous stories on the 6.28 economic measures here. The North Korean authorities are apparently proposing to reduce the size of hillside plots farmed privately from thirty pyeong down to ten (1 square meter is equal to 0.3025 pyeong), while all remaining acreage is meant to be handed over to existing cooperative farms. From a state policy perspective, the step appears designed to refocus energies on cooperative farming activities, in the hope that this will increase the productive capacity of the official farming sector in an effort to attain the sort of production levels required for the implementation of the June 28th Policy of farming reforms announced domestically in July 2012. However, it is thought unlikely that this will come about, and, conversely, the source predicted that the measure, if widely implemented, would have a detrimental effect on overall output and decrease the amounts of grain entering markets. Partly this is because, while people are not technically meant to hold more than 30 pyeong of private land, in reality many are cultivating more even than this; in many cases, more even than their formal work unit is responsible for. This is because only by farming soybeans, cabbage, radish and other agricultural goods are many able to eek out a secure living. 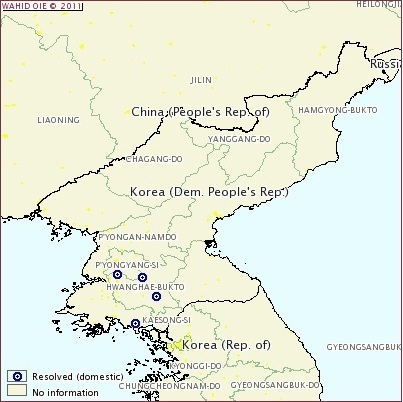 UPDATE 22 (2012-11-15): Writing in 38 North, Randall Ireson offers a succinct, comprehensive assessment of the DPRK agriculture system and offers policy advice moving forward. See the full article here. 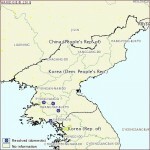 UPDATE 21 (2012-12-14): See this post by CanKor on the 6.28 Measures. As noted by Yonhap in an article yesterday, recent days have seen multiple uses of phrases including “new management method” in the North Korean media, lending weight to the suggestion that a number of new economic measures have already been put into practice. For example, last week on the 7th, state domestic and international radio broadcaster Chosun Central Broadcast ran a recording of a meeting of forestry workers at the People’s Palace of Culture in Pyongyang. The words raise the question of whether factories such as that of the manager in question are actually acting autonomously in terms of management decisions, rather than simply taking orders from agencies higher up the food chain. If so, it would imply the implementation of new economic rules. On a similar note, a November 9th article carried as part of a series by the Chongryon publication Choson Shinbo under the title ‘The Road to Our-style Economic Revival’ noted the introduction of a “new management method” in a piece on how Pyongyang’s No.1 Department Store has been changing in order to improve customer service. Choson Shinbo has a history of reporting North Korean economic changes first, including the July 1st Economic Management Improvement Measures of 2001, making it one outlet for North Korea news worth keeping an eye on. North Korea’s new economic policy, otherwise known as the ‘June 28 Measure,’ was to go into effect from October 1, 2012 but it is reported that enforcement of various educational and action plans related to the new economic management measure was halted. Starting this July, North Korea began to make announcement through the Third Broadcast, to educate and inform specific plans related to the new economic measure to the North Korean residents. The Third Broadcast is an internal cable broadcasting system usually used to deliver important message to its residents. The main objectives for the new economic management improvement measures are to improve autonomy in the factories and cooperative farms and the food distribution system. However, speculations began to surface that the new economic policy will be postponed after the Supreme People’s Assembly was convened on September 25, with no mentioning of economic measures or laws, contrary to expectations. Since the plans for the new economic policy was announced to the public, exchange rates and market prices began to soar, creating hyperinflation phenomenon. If North Korea continues to postpone the economic improvement plan, is likely to lead to adverse consequences as it can amplify the anxiety amongst the residents and the market, as many were already skeptical of the new economic measures. On the other hand, production units reveal of its preparatory actions toward the new economic policy. Each factories and companies are submitting production indexes to the senior departments under the Cabinet and receiving evaluations according to its reports. Some factories are switching operations after obtaining outside capital, while other insolvent companies were closed down. One example is Chongjin chemical factory. After forming a joint venture company with China, it was renamed to Chongjin Paper Production Factory. With over 3,000 employees, it will become one of the top three companies in the Chongjin area — after Chongjin Steel Works and Kim Chaek Iron Works. Back in July, each province designated a number of ‘model farms’ that were to be used to test the policy. These farms were supposed to receive their initial inputs of fertilizer and machinery from the state, and then be given 30% of their production in return. However, the Hyesan source also said that a lot of people are prepared to wait and see until at least mid December, when harvest processing concludes and distribution can be finalized. “People assume that Kim Jong Eun won’t want to disappoint the people in his first year in power,” he explained. You can read my reaction to the messy policy roll out here: “The credible commitment problem of economic reforms”. The North Korean authorities originally began to announce news of the new economic system domestically in July, outlining increasing managerial autonomy, changes to payment systems and new farm procurement regulations. There were even some less detailed announcements on North Korea’s fixed line ‘3rd Broadcast’ system, which is used to disseminate propaganda handed down from the very top of the Party. However, late last month signs of abnormality began to appear. Although few local people thought the measures would be publicly adopted at the extraordinary session of the Supreme People’s Assembly on September 25th, the source said they didn’t expect all references to the policy to disappear. According to the source, cadres suspect that the authorities are not yet prepared to roll out the policy in practice. Many are not surprised; they say it was impractical to expect the policy to be executed in just three months, given that the July 1st Economic Management Improvement Measures of 2002 took nine months to come to fruition after a policy statement was first issued by Kim Jong Il on October 4th, 2001. The surrounding economic conditions are far from ideal, also. Since the announcement of the new economic measures, North Korea’s markets have been facing hyperinflation conditions rooted in a sky-high Chinese Yuan exchange rate. However, it is still considered unlikely that the policy has been cancelled altogether, since that would carry heavy consequences for regime legitimacy. Also, the authorities have advertised the policy to the international community in a number of stories (though not in the state media), and it would not serve the regime’s purposes to lie openly about this particular issue. In addition, it is actually extremely rare for the authorities to cancel a policy after it has been announced under any circumstances; in any case, sources continue to report that those agencies charged with preparing the implementation of the new economic measures are still operational. The current status of factories is being assessed by units dispatched by the Party and the Cabinet is issuing new production targets. Some factories are pursuing outside capital, and work to consolidate under-performing enterprises is ongoing. One example is Chongjin Chemical Works. Recently, the factory entered a partnership with a Chinese firm and changed its name to Chongjin Paper Factory. The factory is one of Chongjin’s three major Level 1 enterprises, and has a workforce of 3,000. However, it had actually been offline since the 1980s. The central authorities are planning to merge uncompetitive factories and enterprises with stronger ones as North Korea prepares to embark on the full implementation of the so-called ‘June 28th Policy’, Daily NK has learned. This process is being undertaken to give those enterprises that remain the best chance of competing under the new rules that are due to enter force in the coming days. Although workers assigned to unproductive enterprises are understandably keen to move to a company with even a modest amount of potential, the state of the broader North Korean economy has nevertheless put most in a state of ‘50% anticipation, 50% fear’ over what will come next. At the time of writing, the price of rice has reached an outlandish 6700 won/kg even in Pyongyang itself, while also arriving at 7000 won in Onsung County and 6500 won in Hyesan, putting those people without foreign currency in a very difficult situation. Another major problem is that while the official aim of the policy is to retain only those enterprises that are capable of implementing the tenets of the June 28th Policy effectively, only around 30% of North Korean enterprises are fully functioning, which means that there are around 70% in an uncompetitive condition. Therefore, it seems inevitable that some uncompetitive enterprises will have to be kept, and these are likely to be a drain on the economy in the short to medium term. Two workers at a farm south of Pyongyang told The Associated Press about the new rules on Sunday, saying they were informed of the proposed changes during meetings last month and that they should take effect with this year’s upcoming fall harvest. The Ministry of Agriculture has not announced the changes, some of which have been widely rumored abroad but never previously made public outside North Korea’s farms. Farmers currently must turn everything over to the state beyond what they are allowed to keep for their families. Under the new rules, they would be able to keep any surplus after they have fulfilled state-mandated quotas — improving morale and giving farmers more of a chance to manage their plots and use the crops as a commodity. At cooperative farms across the country, the government doles out fuel, seeds and fertilizer, and farmers pay the government back for the supplies, said Kang Su Ik, a professor at Wonsan Agricultural University. The farmers’ crops go into the Public Distribution System, which aims to provide North Koreans with 600 to 700 grams of rice or cornmeal a day. However, a persistent shortfall of more than 400,000 tons a year in staple grains has meant lower rations all around, according to the United Nations, which has appealed for donations to help North Korea make up for the shortage. Under the previous system, each farmer could keep as much as 360 kilos of corn or rice a year to consume or sell at the market, in addition to what they grow in their own courtyards. The rest was turned over to the state to distribute as rations, Kang said. The proposed changes would reverse the equation, challenging farmers to meet a state quota and then allowing them to do as they wish with the rest, including saving it for themselves, selling it at the local farmer’s market or bartering it for other goods. Farmers also would have more control over tending their plots. At Migok, 1,780 farmers work in teams of about 100. In the future, sub-teams of about 20 to 30 farmers are expected to have more say in how to tend their crops, said Kim Yong Ae, who oversees the visitor’s center at Migok, where a patchwork of rice paddies stretches as far as the eye can see. O, who lives with her rice farmer husband and two young sons in Migok’s Apricot Village, brightened up when she said the family expects a surplus this year. Migok was unaffected by the summer rains that destroyed farmland elsewhere in the country, and their private garden is bursting with fruit trees, vegetables and marigolds. UPDATE 12 (2012-9-19): The Korea Herald reports that Pyongyang is planning to loosen its control over some state-owned enterprises. North Korea is moving to introduce a full-scale cash-payment system for transactions among light-industry state firms in the latest apparent move to revamp its planned economy, a source in the communist state said. The measure, seen as aimed at boosting industrial efficiency by ensuring greater autonomy for non-backbone businesses, could pose risks by loosening the long-standing state control, analysts say. The adoption of cash transactions marks a departure from the long-held “scriptural-money” system in which each firm uses an account in the central bank when it transacts with others to secure raw materials, electricity, machines and other means of production. Cashless transactions were a useful tool for the authoritarian regime to keep track of the currency flow and companies’ business activities. Cash payments risk weakening state oversight, experts noted. In its economic reform of July 2002, Pyongyang partially introduced cash transactions among companies in a controlled production-material exchange market. But the new measure seeks a full-scale adoption of cash payments, the source said. The North is expected to apply the cash-payment system mostly to provincial firms that produce consumer goods, while keeping the old system for military, heavy-industry and chemical firms to keep its control over the strategically vital ones, the source said. News reports suggest that the North will offer to each firm an “initial investment” to cover their production costs and allow each to determine its production items, price and selling methods. The seemingly greater autonomy, however, reflects the degree of the North Korean authorities’ inability to sustain the planned economic mechanism with sources of external assistance seriously limited amid deepening isolation. Experts are skeptical of the measures to give more autonomy to companies whose overall operation rate is said to stand at around 20-30 percent because of the regime’s failure to provide necessary means of production. “At any rate, companies in the North are suffering with their operation almost at a standstill. The North, through the measure, aims to normalize their production function by offering more autonomy in their management,” said Kwon Young-kyong, professor at the state-run Institute for Unification Education. Kim Joong-ho, senior researcher at the Export-Import Bank of Korea, also painted a negative outlook for the cash-payment scheme, underscoring that the North should first establish the necessary financial and monetary infrastructure. “North Korea’s currency is now seen as a scrap of paper (due to a poorly managed currency value). Using cash is workable when there is trustable, stable financial, currency management apparatus. Thus there remain problems of practicality and efficiency,” he said. The devastating currency reform three years ago was aimed at stemming the spread of marketplaces, which became rampant as the food rationing system failed to function following the severe famine, dubbed the “Arduous March,” in the mid-1990s. Like other socialist states, North Korea has maintained a dual payment system ― cash in the form of monthly wage for regular people and scriptural money for inter-company transactions. Scriptural money is aimed at preventing the state’s non-cash resources allotted for each firm from turning into cash, flowing into the household sector and complicating its control of the currency and overall economic activities. The dual system has been crumbling as more firms use cash to secure means of production while the overall economic system is on the verge of collapse with the regime running out of monetary and material resources to maintain the planned mechanism. What is crucial for its economic reestablishment, experts say, is that the North first establish a banking system, through which people can confidently store their wealth, with companies benefitting from the financial system through stable investment and other methods. The North is set to hold a rare session of the rubber-stamp Supreme People’s Assembly next Tuesday during which some observers expect Pyongyang to announce new laws for its overall economic reform. The level of the North’s possible reform is hard to predict, experts say, stressing that Pyongyang has repeated a pattern of employing what appear to be reform measures only to retract them when they were deemed to pose a threat to the dynastic regime. Pyongyang’s desire for economic reform has been detected in a flurry of recent media reports and academic documents. The front page of the Tuesday edition of the Rodong Sinmun, the daily of the North’s ruling Workers’ Party, was filled with economy-related articles while pushing the article on Kim Jong-un, first secretary of the party, to the second page ― an exceptionally unusual article arrangement. Last month, the North introduced a set of research papers by its scholars concerning topics ranging from the state control over the financial sector to the importance of currency circulation. They raised the prospect for possible financial reform. Given that the new measures will be implemented on October 1st, it is likely that the June 28th Policy will come to be known as the ‘October 1st New Economic Management Reform Measures’ in the same way as the July 1st Economic Management Reform Measures of 2002, which were branded the ‘October 3rd Policy’ until their implementation because October 3rd was the date upon which Kim Jong Il delivered his first statement on the issue to the Party. The ‘June 28th Policy’ is seen by many analysts as an extension of the 2002 measures. Among its key tenets, agricultural producers are to receive 30% of production under the state plan plus any overproduction, while workers in small and medium-sized enterprises are to no longer receive state distribution, instead being paid entirely in cash. The source explained that he assumes the authorities are using both education targeting all levels of the adult population and the application of legal and systemic modifications to try and ensure that the tentatively titled ‘October 1st New Economic Management Reform Measures’ succeed. However, if they are not followed by significant opening to the outside world and/or massive levels of external support, the source added that the chances of success will significantly diminish. In late August, Kim Eun-chol, professor of economics at Kim Il Sung University, the country’s leading school, published a paper in which he emphasized the government’s duty to keep money supply under control. In July, North Korea’s major economic journal also stated that the amount of cash in circulation should be controlled by the state-run banks – for the sake of “further improvement of people’s living standards”, of course. Taking into consideration how North Korean society is arranged (and the highly sensitive nature of the topic), one can be certain that neither publication reflects intellectuals’ pursuit of free, inquisitive minds, but rather hints at the ideas of Pyongyang decision-makers. So, should we be prepared for another currency reform? It is too early to say, since there are valid argument both for and against such a dramatic action. Like most communist countries, North Korea has an illustrious history of confiscatory currency reforms, the most recent of which occurred just three years ago. Currency reforms with “socialist characteristics” usually follow a similar pattern: One day, the lucky residents of the country where the reform is to take place are informed that their legal tender will, in a couple of days or weeks, become worthless and that only a limited amount of what they hold will be changeable into the new currency. Deposits in state banks are usually treated more leniently, but the exchange period is short and the average citizen finds himself facing numerous problems even when trying to exchange cash within the established tight limits. In essence, such reforms lead to the nearly complete annihilation of privately held cash deposits and the dramatic decrease of money supply in the economy. Legal and semi-legal businesses within the private sector suffer most – many of them face bankruptcy. But such reforms help to curb inflation and reinforce the state’s leading role in the economy. The last time the North Korean government implemented such a reform was in late 2009 (previous reforms took place in 1992, 1978 and 1959). However, the 2009 reform seemed to fail spectacularly to achieve its main putative objectives. There were good reasons for this failure. Driven by rather obscure logic, North Korea’s state bankers decided that employees of state enterprises (that is, the vast majority of workers, at least on paper) would receive exactly the same nominal amount for their work. In other words, if say a steel worker received 3,000 won before the currency reform (a price of 1 kilogram of rice at the time), he would receive 3,000 won in the new currency as well. At the same time, the exchange rate of old to new currency was 100:1, so the plan was that the new wage would suffice to buy 100 kilos of rice. This amounted to an overnight 10,000% increase in wages and in effect a 10,000% increase in the money supply. This policy unleashed an outbreak of rapid inflation and predictably, within less than a year, prices had returned to pre-reform levels. One can only wonder why reform planners failed to anticipate such a turn of events. At the same time, the 2009 reform led to dramatic confrontations within North Korean society. Many private businesses were indeed hit hard, but the turmoil of late 2009 and early 2010 produced popular dissatisfaction on a scale unseen in North Korea since the late 1940s. For a brief while, in January and February 2010, a major outbreak of public discontent seemed to be within the limits of possibility. It took special efforts to pacify the public (according to unconfirmed rumors, some top officials were made scapegoats and executed). It seems in fact that the authorities realized their mistake and for a brief while decided to leave the market and its traders alone. But recent publications emanating from the North Korean propaganda apparatus seem to suggest that the idea of a currency reform has become a politically attractive policy measure once again. One should not be misled by the ostensibly “academic” credentials of the journals in which the articles on currency reform appeared: There is no such thing as independent academic research in North Korea when political economy is involved. This as an indication that reform is being prepared, or at least seriously discussed, in some quarters of the elite. It seems that North Korea’s elite is worried about inflation, which has over the past two years been increasing steadily. Last summer, the average exchange rate was 2,500-3,000 won to the US dollar, while a kilo of rice would cost about 2,100-2,400 won. By last month, the exchange rate had topped 7,000 won to the dollar and the price of a kilo of rice was 6,000 won. In other words, within a year, prices nearly doubled while the won lost half of its value. For North Korea’s decision-makers, this is clearly a worrisome trend. It might be even more dangerous because policymakers seem to considering economic reorganization, maybe even genuine economic reform. But an annualized inflation rate of 100% is not a great place to start a transformation, and something has to be done to curb this dangerous trend. Since currency reform is a staple of government policy in North Korea, it has become a well-known and well-tested economic control measure. Therefore it is only natural that the top managers of the state economy are keen to launch a currency reform. That said though, currency reform is a very risky thing. In 2010, in the aftermath of the 2009 reform, even North Korean officials sometimes spoke critically about the reform when talking to Western diplomats. Foreign students studying in Pyongyang were approached by North Korean students who expressed their angst about the currency reform. A military attache of one Western country (not exactly friendly from the North Korean point of view) told me that his opposite number said Pyongyang “doesn’t quite understand what it’s doing”. One can imagine how angry a military intelligence officer in one of the world’s most controlled societies has to be to share his frustration with an imperialist outsider. The level of annoyance was truly unprecedented. For a brief while, in January and February 2010, a public disturbance, if not a revolution, appeared to be possible. It is not incidental that immediately after the reform, the Chinese – hitherto very careful when it came to North Korean issues – began to speculate almost openly about the possibility, probability and even inevitability of regime collapse in North Korea. Therefore North Korea’s decision-makers are now facing a difficult choice: If inflation is left unchecked, it may well undermine their efforts to stabilize and transform the economy while also leading to popular discontent. On the other hand, another currency reform might provoke an outbreak of popular discontent on a hitherto unthinkable scale. Reform clearly constitutes clear political risks, but judging by recent news, some people in the top leadership are desperate enough to consider the option again. It remains to see whether they will follow through on their words, and whether they will survive their experience. As some of you might know, I have recently published a piece at the ‘Washington Post’ where I outlined what seems to be going on in and around North Korea. However, stylistic requirements and various conventions precluded me from being quite as blunt as I would be in person. Yesterday, when participating at an online discussion, I wrote a rather lengthy paper where the (essentially) same points were spelled out more bluntly. After some considerations I decided to send this letter to you, highly esteemed friend and colleagues. • It seems almost certain that Kim Jong Un (and some people around him) really want to change things. There are too many signals, coming from too many directions to deny the fact that North Korea has begun to change, and as a matter of fact, with almost alarming speed. None of these signals in isolation are conclusive, but when taken together they little room for doubt. • The ideal destination for Kim Jong Un, Chang Song Taek and co. is of course a Chinese-style ‘developmental dictatorship’. They want to build a North Korea which will combine an authoritarian political structure (presided over by them, needless to say) with a market economy (where the commanding heights will belong largely to the scions of the elite). • Currently, the reforms are reversible. Kim Jong Un can change his mind or be overwhelmed by the conservatives. Nonetheless, I personally do not believe that backlash is very likely. The boy badly wants to make everybody happy. • At the same, the above mentioned outcome – the emergence of a relatively stable, and economically successful developmental dictatorship in North Korea – is possible, and desirable, but not particularly likely to happen. As I have written countless times, Kim Jong Il did not council reforms because he always understood: in a divided country with such a huge economic divide between North and South, reforms are likely to become destabilizing. South Korea’s existence is the major reason why a developmental dictatorship in North Korea could not remain stable. These fears are seemingly not shared by Kim Jong Un and his advisors, but this does not mean these fears are unfounded. • The probability of the success of reforms (‘success’ as defined as a stable and growing developmental dictatorship) appears even more problematic if we look at Kim Jong Un’s personality and his actions over the last few months. To cut to the chase, the fat boy is stupid. He does many things which are completely unnecessary and are potentially destabilizing. He should not endorse the American pop culture, and Micky ‘The Imperialist Rodent’ Mouse; he absolutely should not turn the front page of Rodong Shinmun into his wedding album (section on honey moon). • Therefore, we should be ready for trouble. A reforming North Korea will likely be very unstable and might collapse. Worse still, collapse is likely to come with little to no prior warning. Media reports about reform are likely to produce the false and dangerous idea that North Korea is solving itself as a problem. This may just be the case, but it is much more likely not to. UPDATE 8 (2012-9-4): This Daily NK article points out how past reforms led to improving economic conditions…which led the state to move in and expropriate the assets and dissuade individuals from partaking an .anti-socialist activities”. This would imply that any economic reform will not immediately bear fruit because people will not believe the policy is durable and investor horizons will be short. “(State-run enterprises and shops) will be allowed to reserve 70 percent of their profits, and 30 percent will go to the state,” said one North Korean government source. “The authorities plan to start with (reforming) small enterprises this time to avoid a recurrence of the problems encountered [in 2002],” the researcher said. The Chinese Yuan-North Korean Won exchange rate is exceedingly volatile these days even by North Korean standards. Having struck a high point of 1,300 North Korean Won on the 27th, a 44% rise over the rate the previous week, by the afternoon of the 30th the exchange rate had lost some of that value, falling back to 1,100 won. Nevertheless, 1,100 won is still extremely high; the price of Yuan only topped 1,000 won on the 27th, though it subsequently fell back. In line with the rising exchange rate, rice is currently selling at very high prices; approximately 6,500 Won in Hyesan, Yangkang Province yesterday. This is a huge increase; from 3,000 won/kg at the beginning of June to 4,000 won/kg at the beginning of August. According to a source from the city, people cite the introduction of new economic management measures as the cause. As a result of the rising price of rice, sellers are concerned at losing out even if they do sell, while buyers are leery about buying, preferring to fall back upon corn, which is 50% cheaper on average. As a result, sales of rice are flat. The reason why news about new economic measures is able to inspire such volatility is that high rates of inflation also occurred on previous occasions when economic measures were implemented, noticeably the July 1st Economic Management Reform Measure of 2002 and the currency redenomination of November 2009. At this point, the source noted, people’s fears about the ‘June 28th Policy’ are greater than their expectations. “North Korea is reinforcing the status of its central bank, while working on weakening the power of banks controlled by the military and the Workers’ Party of Korea,” a source familiar with the North told Yonhap News. NK Intellectual Solidarity, a Seoul-based defectors’ group, last week reported Pyongyang is preparing a new economic organization with finance and accountant experts driven by the Cabinet, from earlier this month. Reports from state media show that the regime has promoted or reinstated in recent months the four technocrats who played a key role in an unsuccessful economic reform a decade ago ― Park Bong-ju [Pak Pong-ju], Ro Do-chul, Kwak Pom-ki and Chon Sung-hun. Most significantly, Kim in July dismissed Ri Yong-ho, the military’s powerful general staff chief and one of Kim Jong-il’s closest aides. The National Intelligence Service ascribed the removal to his “uncooperativeness” toward the young Kim’s tighter reins over the military. “Seizing control of the military, Kim is forecast to pursue a drastic economic reform and openness such as permitting private profit making in trade and commerce, expanding autonomy for businesses and reducing the basic unit of production in cooperative farms,” said Cheong Seong-chang, a senior research fellow at the Sejong Institute. In July 2002, the so-called Big Four tried to relax the rigid command economy by dissolving the rationing scheme, allowing street markets, raising wages and prices and adopting incentives and graded compensation. But the regime rolled back the ambitious program in the mid-2000s as it hiked prices and magnified the pains of the populace, instead of buoying markets and improving productivity. The technocrats were consequently demoted or disappeared from sight. The North’s Supreme People’s Assembly last week reinstated Chon Sung-hun as a deputy premier. He was dismissed from the post in April 2009 but reportedly put back as metal industry minister in January this year. Park Bong-ju, a symbol of economic reform, returned to the government in August 2010 and was elevated to light industry minister in April 2012. He served as prime minister from September 2003 to April 2007. Ro Do-chul is one of the 11 vice premiers and has been serving Kim since he was designated as successor in April 2009. He also accompanied Premier Choe Yong-rim on his trip to China in November 2010, which was aimed at expanding bilateral economic cooperation. Kwak Pom-ki is a former machine-building industry minister and maintained the deputy prime minister position for more than 11 years until June 2010. He became the Workers’ Party’s chief secretary of South Hamgyeong Province in April this year. With the grand comeback, the four officials are expected to steer economic policymaking in line with Kim’s fresh guidelines unveiled on June 28. Some observers even say that their reinstatement may help thaw frozen cross-border ties given their experience in inter-Korean projects. Chon visited Seoul in 2007 as head of the North’s delegation for a joint committee on economic cooperation, while Park led an inspection team that toured the South in 2002. But the fundamental question is: Will it be different this time? “It seems that a change is in sight from North Korea’s inner part,” said Chin Hee-gwan, a unification professor at Inje University in Gimhae, South Gyeongsang Province. “I’d call it Kim Jong-un’s cultural revolution ― Kim is heavily focusing on the people’s livelihoods; and he is apparently interested in musical performances and public and cultural facilities among others. The regime appears to be phasing out its decades-old rationing system in favor of the so-called June 28 measures, which promise greater autonomy to farmers and businesses. While acknowledging positive signals, experts caution against overanalyzing every move made by the unpredictable country. “Both this personnel reshuffle as well as some other bureaucratic developments suggest a renewed interest in economic development as a policy goal,” said Marcus Noland, a deputy director and senior fellow at the Peterson Institute for International Economics, via email. Brian Myers, an associate professor and chair of the international studies department at Dongseo University in Busan, pointed out that the hints have yet to bring about a fundamental policy shift toward economic reform. “A lot of what Kim Jong-un is now being credited with was started under Kim Jong-il,” he told The Korea Herald via email. North Korean enterprises are divided into eight levels, ranging from level one to level eight with a class of ‘special level’ enterprises as well. Each enterprise receives this designation based on an assessment of things including its role in the economy, productive capacity and size of workforce. Larger enterprises all fall between ‘special level’ and ‘level 3’, and are affiliated with the central authorities. Those operating outside production plans ordered by the center have had the authority to deal with production and distribution autonomously since the 1970s. This self-sustaining system was designed to provide an incentive to produce, but also allowed the state to forgo responsibility for providing food and daily necessities by passing it on to provincial level entities. This includes smaller light industrial enterprises with between 50 and approximately 500 employees between level 4 and level 7, and some workers in larger enterprises who are employed solely in the pursuit of tasks that are designed to earn money for the factory itself. The fact that only ‘self-sustaining system’ factories or individuals within larger enterprises will move to this ‘all-wage system’ presents a threat to hopes of significant reform in North Korea. Indeed, the plan appears only to strengthen measures that first appeared as part of the July 1st Economic Management Reform Measure in 2002. The source further reported that news of the measure is not impressing workers on the ground. “I spoke to someone in Onsung County, and he told me that they are reviewing a 600% pay rise to replace food distribution. So, someone previously getting 2000 won would get 12,000 won, but that is still less than the price of 3kg of rice,” the source pointed out. Another problem facing the new policy is the disharmony likely to be caused in enterprises where both types of employee is present, meaning that some will get food distribution while others will not. Andrei Lankov writes an interesting article on the history of the DPRK’s rationing system. A source from North Hamkyung Province revealed the information to Daily NK on the 23rd, explaining that the teams are made up of officials from the department of the State Planning Commission responsible for production facilities, their provincial equivalents and the Central Prosecutors Office. They are now in the process of assessing the production facilities at each factory enterprise. Daily NK has obtained confirmation from other sources that the same types of assessment inspections are ongoing in both Hyesan in Yangkang Province and Shinuiju in North Pyongan Province. The Central Party inspection teams are expected to follow-up their assessments by deciding what needs to be scrapped and what can be salvaged and reactivated, then reporting it all back to the State Planning Commission in order for decisions to be made on state investment. The 6.28 Policy, or ‘On the establishing of a new economic management system in our own style’, should see the state making initial investments in industrial and agricultural facilities and inputs, then procuring production at market prices according to pre-set targets while allowing a percentage of target production plus any over-fulfillment to remain with the production unit for distribution and/or sale. A source from Yangkang Province told Daily NK today, “They have handed down the new policy to cooperative farms in Daehongdan, Kim Hyung Jik County [formerly Huchang County] and Kim Jong Suk County [formerly Sinpa County). They are providing new seed varieties, fertilizer, weeding implements and what-have-you, and say they will give 30% of the grain to the farmers. “The farmers in the three counties are excited about it now that they have heard that they will be able to get 30% of the production and even the surplus as well. So much so that they think some people who left for the cities will come back to the area,” he noted, adding that in Kim Jong Suk County they are already bringing in new agricultural machinery, which is being described as coming from Kim Jong Eun. If the policy is implemented as stated, then the amount of production going to farmers should rise. This will be a welcome change for most; the Chosun People’s Army took direct responsibility for the management of food procurement and distribution during the food insecurity and famine of the 1990s, and this invariably left the farmers themselves with a vastly reduced share. However, it is not just internationally that concerns over the viability of the measures being implemented are being raised. Local people are not yet prepared to trust the authorities either, following a history of disappointments such as the 2009 currency redenomination. In consequence, many are reportedly looking upon the latest policy with skepticism; many expect the authorities to break their promises in one way or another, for example by taking more than 30% of production in order to feed the military. According to an inside source, the authorities recently notified local organs of the so-called ‘6.28 Policy’, which is entitled, ‘On the establishing of a new economic management system in our own style’. The agricultural element of the policy, which is to be implemented in October, will reduce the size of the basic farming unit and bring state agricultural procurement prices up to ‘realistic’ levels. In more detail, the plan will see the following measures implemented: ▲ the so-called “bunjo danwei” (the basic farming unit on a cooperative farm) will come down from its current scale of 10-25 members down to 3-4 members; and ▲ the state will procure its quota of production at market prices and deduct the cost of inputs; then, as is nominally true now, ▲ the unit which produced it will be free to deal with the remainder as it sees fit. Land and other inputs will be provided by the state. Under the existing agricultural management system, provincial Agricultural Management Committees set output targets then submit them to the Ministry of Agriculture for approval. Once they have been approved, each production unit is handed down a quota. Thereafter, the value of inputs, land usage fees and other non-tax payments such as “military support” are deducted from production, and the producing unit is given the right to distribute the remainder as it wishes. However, according to defectors with farm management experience, because the state sets prices for the inputs too high and procures unrealistic amounts at nominal fees, the leftover for the farmers themselves is usually highly inadequate. Although realistic procurement pricing therefore sounds good for farmers, there are many seemingly insurmountable problems, If procurement starts happening at market prices rather than the minimal prices at which it occurs now, then distribution also has to happen at market prices or the state will not be able to cover its costs. But if wages for urban industrial workers are not raised to realistic levels then they won’t be able to afford the food, and the system will not work. Conversely, if the food were to be sold at a subsidized price by the state, then the system wouldn’t last long because the state would be unable to sustain the budget deficits that this would entail. The system will ultimately drive inflation, which will undermine the procurement pricing structure, forcing the authorities to either pay more for everything or to pay less than market prices. The latter would then drive producers to hide production from the state in order to get higher prices on the open market. One important aspect of the 6.28 policy that is unexplored in the article is the reduction of farm labor units to 3-4 people. This is tantamount to reducing work team units to single families. If individual families know that financial remuneration for their efforts on the cooperative farms will be captured entirely by the family unit (rather than by being split up among 2-4 families in the same work unit) they may be less inclined to shirk their labor responsibilities on cooperative farms. One aspect of the DPRK’s agriculture “reforms” that I am interest to know more about is the effect of land rezoning on collective farm output. Access to enough data to do a scientifically rigorous regression is of course not possible, so those of you who have regular access to defectors and family members in the DPRK, please ask about the effects of land rezoning to village production in the DPRK. We should be able to get some good anecdotes on this anyhow. This previous post on the DPRK’s agriculture policies is also interesting. 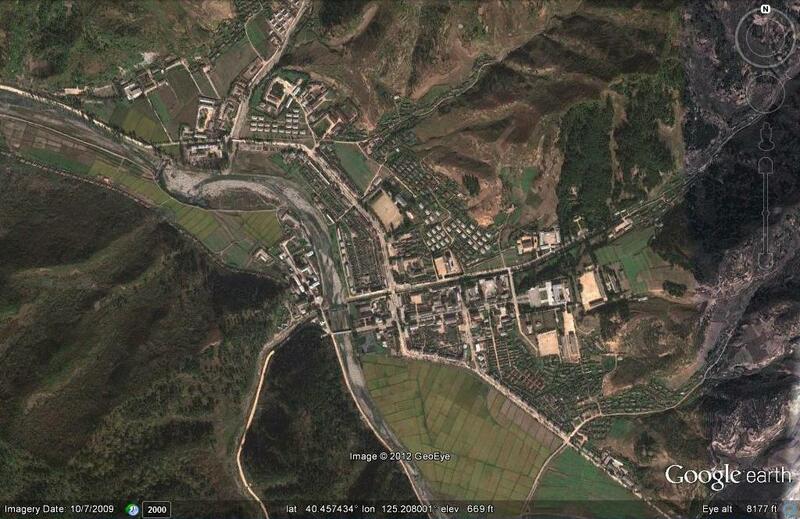 Pictured above (Google Earth) is Changsong Town in North Pyongan Province. There has been a lot of talk about economic reform in the DPRK in recent weeks (see here). One of the aspects of these reforms has been greater local/regional control over economic policies and outcomes. On the 8th, Rodong Shinmun published an editorial entitled, ‘Let Our Country Be Prosperous in the Spirit of the Changsung Joint Session’ in an edition that also featured seven other related articles. The articles served as a timely reminder of the joint session of central cadres, their provincial counterparts and economic sector officials held on August 7th and 8th in Changsung County. On days prior, Rodong Shinmun, KCNA and other state-run media outlets also reported in various forms the idea that ‘all the counties in the country are going to follow the example of Changsung County.’ For example, on the 7th it introduced a new food processing plant in Changsung County itself. I have previously written about the “Changsong Joint Conference” here. Interestingly, this narrative paints the 6.28 policy as an effort to decentralize economic production because Pyongyang can no longer afford the old policies, yet for propaganda purposes, it is being portrayed as the continuation of a movement personally launched by Kim Il-sung 50 years ago! Pyongyang, August 4 (KCNA) — Changsong County, North Phyongan Province of the DPRK, has become a model in the development of local economy in the new century. Great changes have taken place in all aspects of production and construction in a matter of little over one year. Local industrial factories have been placed on a modern and scientific basis to lay a firm foundation for reenergizing production and improving the standard of people’s living. The county seat has taken on a new appearance to suit the specific features of a county. President Kim Il Sung provided field guidance of devotion to the county, once known as remote mountainous county, more than a hundred times in his lifetime with a noble intention to turn it into a model to be followed by all other counties. There began a new history of mountains of treasures in the county under his care. As a result, the Changsong joint meeting of local party and economic officials was held in the county in August 1962. Leader Kim Jong Il made sure that the spirit of the joint meeting was fully displayed generation after generation. He gave an instruction to the county to raise a new torch for effecting a dramatic turn in the local industry in November 2010. The dear respected Marshal Kim Jong Un has led a drive to face-lift the county as required by the building of a thriving nation so that the year 2012, the 50th anniversary of the joint meeting, may shine as a proud year and a year of new changes in the development of local industry. All local industrial establishments in the county have undergone dramatic changes as required by the new century in a matter of little over one year. All production processes at the foodstuff factory ranging from feeding of raw materials to packing and forwarding have been automated and its overall processes sterilized to ensure high quality and hygienic safety of products. Its textile mill has installed new type machines. Technological updating has made brisk headway at all industrial establishments in the county including paper, furniture and chemical and daily necessities factories. There has sprung up a new food processing factory. All its processes computerized, the factory mass-produces processed meat and vegetables, varieties of soft drink, and confectionary. A garment factory with big capacity has been built to meet the county’s need for school uniforms and solve the issue of clothing by itself. The appearance of the county has changed beyond recognition. The county erected a mosaic depicting the portraits of the smiling peerlessly great persons. The Changsong revolutionary museum and the county hall of culture have been successfully renovated as centers for the education in the revolutionary history and people’s cultural and emotional life. The Changsong Restaurant and a noodle restaurant built with Korean style roofs in the center of the county seat add to the beautiful landscape of the township. There sprang up the Undok Health Complex with all welfare and service facilities, a children’s hall, kindergarten and nursery. The library, county people’s hospital, sanatorium, commercial and catering network, public buildings and dwelling houses have also been renovated as required by the new century. A great success has been made in the land management. The eye-opening changes in the county promise a socialist land of bliss where all varieties of consumer goods are mass-produced at the local industrial factories and the people enjoy happiness in their modern houses. Pyongyang, August 8 (KCNA) — Senior party and state officials including Choe Yong Rim and officials of party, ministries, national institutions and local party, power and economic bodies visited various places of Changsong County, North Phyongan Province on Wednesday on the occasion of the 50th anniversary of the Changsong joint conference of local party and economic officials. Changsong County is associated with the leadership feats of President Kim Il Sung and leader Kim Jong Il who opened up a wide road of developing local economy and improving the people’s living standard by increasing the role of county as a regional base. The participants laid bunches of flowers before the newly erected mosaic depicting portraits of smiling Kim Il Sung and Kim Jong Il and made bows to them. At the Changsong Revolutionary Museum, they looked round historic relics showing the efforts made by the President and Kim Jong Il who ushered in a new history of mountains of treasures, while giving field guidance to the county. They also went to local industrial factories in Changsong including Foodstuff Factory, Foodstuff Processing Factory, Furniture Factory, Paper Mill, Jute Bag Factory and Okpho Stockbreeding Farm. They enjoyed a performance given by the art group of the county at its cultural hall. According to Choi Hyun-soo, vice director of the DPRK Department of Agriculture, “The issue of increasing agricultural production is related to the serious political issue of the fate of the construction of a strong and prosperous socialist nation, and even moreso, the fate of our style of socialism,” rather than simply an issue of economic affairs. The people of the Democratic People’s Republic of Korea have turned out with a great ambition and confidence in the efforts to make a higher leap, in response to the joint editorial issued by Rodong Sinmun, Josoninmingun and Chongnyonjonwi on the occasion of the New Year Juche 95 (2006). Surging is the enthusiasm of the officials and working people in the field of agriculture to thoroughly implement the tasks set forth by the joint editorial that put forward agriculture as the main front of the economic construction this year, too, and called for mobilizing and concentrating all the forces on farming once again. Minister of Agriculture Ri Kyong Sik said in an interview with KCNA that the ministry has worked out a plan of making a fresh progress in implementing the Workers’ Party of Korea’s policies of bringing about innovations in seed production, potato and soya bean cultivation and two-crop-a-year farming and is striving hard to implement them. The ministry, he added, is focusing efforts on taking steps to decisively increase the grain-cultivation area, acquire new land, reclaim wasteland and raise the fertility of soil. It also pushes ahead with full preparation for finishing the construction of setups of the Taegye Island reclaimed tideland before the start of sowing while carrying on land-rezoning projects. Steps are being taken beforehand to plant more high yielding varieties suitable for potato producers in highlands and to protect them against blights and harmful inspects. Preparations are being made for making the Kaechon-Lake Thaesong and Paekma-Cholsan Waterways, the gravity-fed ones, pay off and for carrying on in earnest similar waterway projects in the Miru Plain and other parts of the country. The officials and working people in the agricultural domain are engaged in farming preparation for reaping a bumper crop this year with a high sense of responsibility for the country’s rice granaries. Officials and working people of ministries, national institutions and various organs and enterprises at all levels and even housewives are coming out to the countryside, bringing with them large quantities of farming materials and compost, to inspire agricultural working people. Thanks to the burning patriotic zeal of the agricultural working people to support the Songun fatherland with rice and the nation-wide sincere assistance, the agricultural front is sure to yield a rich harvest this year, the minister said with emphasis. You are currently browsing the archives for the Ministry of Agriculture category.